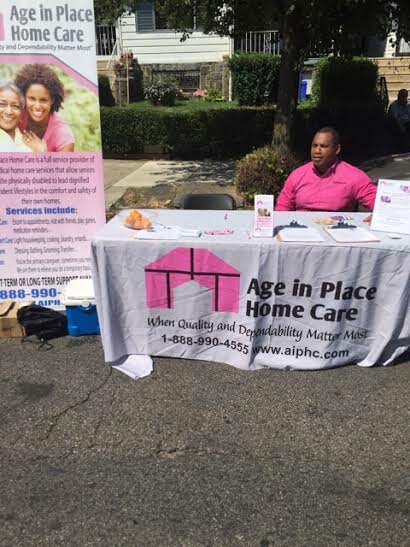 Age in Place Home Care recently attended the fourth annual Webster Street Community Organization “Health Fair”. We had a great time at a very successful event! The Fair took place this Saturday, August 15th, from 10:00 to 1:00 p.m. at 700 South 60th Street. The event has grown in attendance each year and we saw about 200-300 attendees. As an attempt to increase community services and attendance, this year free haircuts and school supplies were offered to first one hundred boys and girls between the ages of 7-12 accompanied by an adult. We utilized a local newspaper (Westside Weekly) distributed to approximately 10,000 homes in the neighborhood, put up posters in local businesses and churches, and utilized old fashion face to face communication to create awareness. Additionally, we are hoping for mentioned on radio station as well. We look forward to next year’s event and hope to see more attendees!